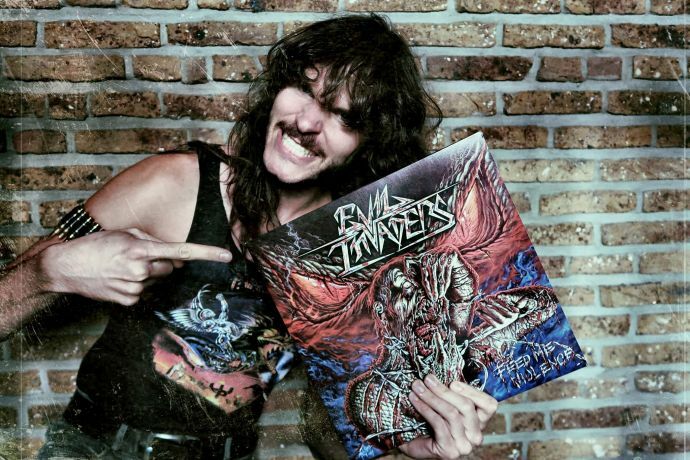 The new EVIL INVADERS release is here! Finally, it's here: This Friday on September 29th, EVIL INVADERS' new killer release 'Feed Me Violence' will hit the stores! The Belgian speed metal sensation has recorded anothergreat selection of neckbreaking tunes, that will shake the ground of the SUPPER'S READY venue next summer, too! Here's a little preview for you: the videoclip to 'Mental Penitentiary'!